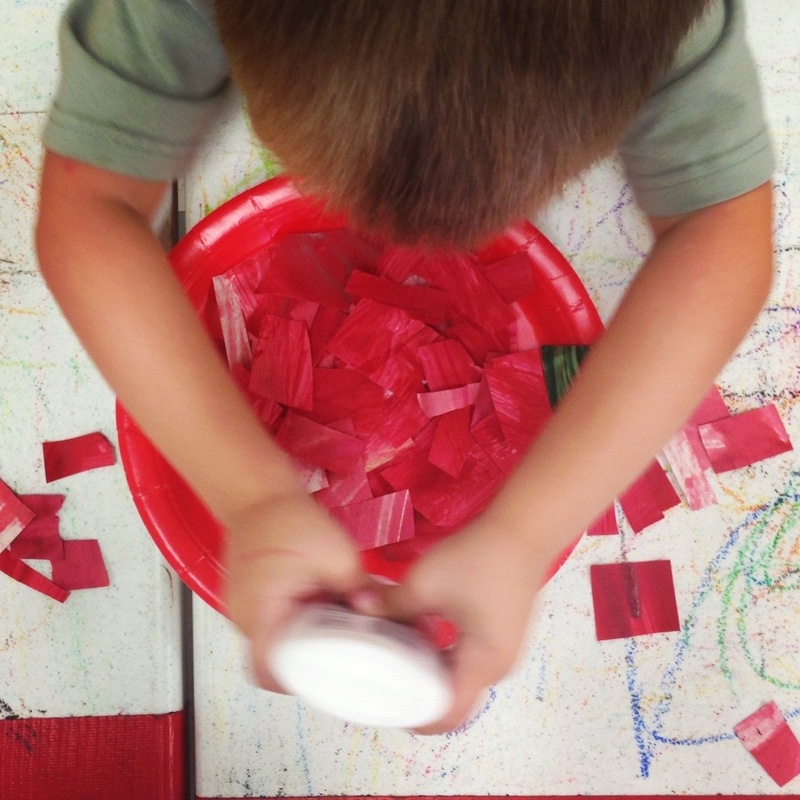 “you mean we can move the paint with our hands?” the first full week of preschool is complete. all the children have graced the room. i’ve been amazed at the calm and ease of our time together. 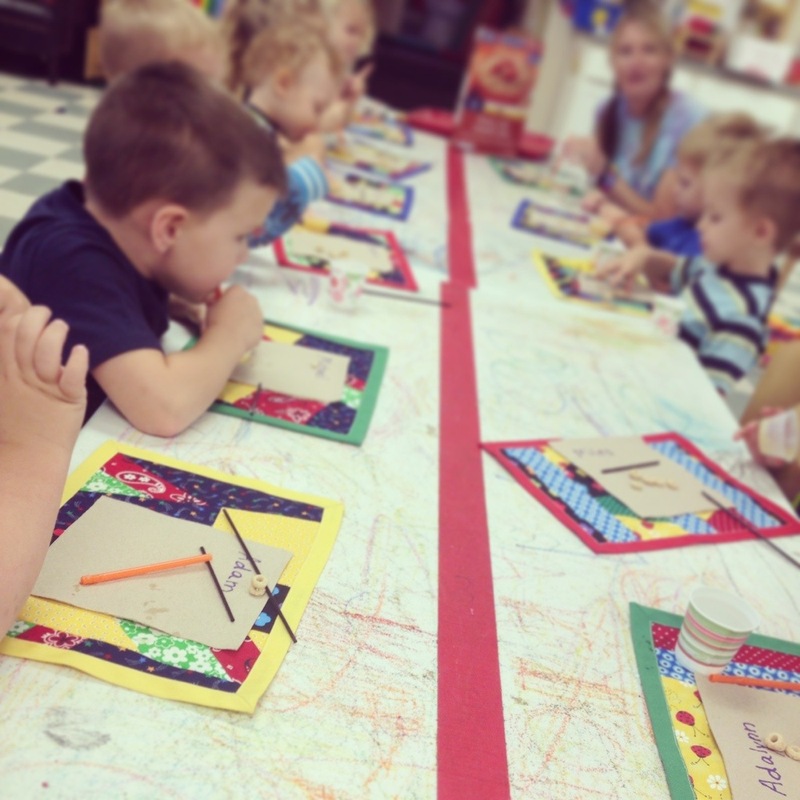 we will follow the alphabet through and last week we started with a. while there are detailed lesson plans in place, when the children enter the room, the lesson plans become the backdrop. the focus is on feelings and choices. the backdrop this week was apples. 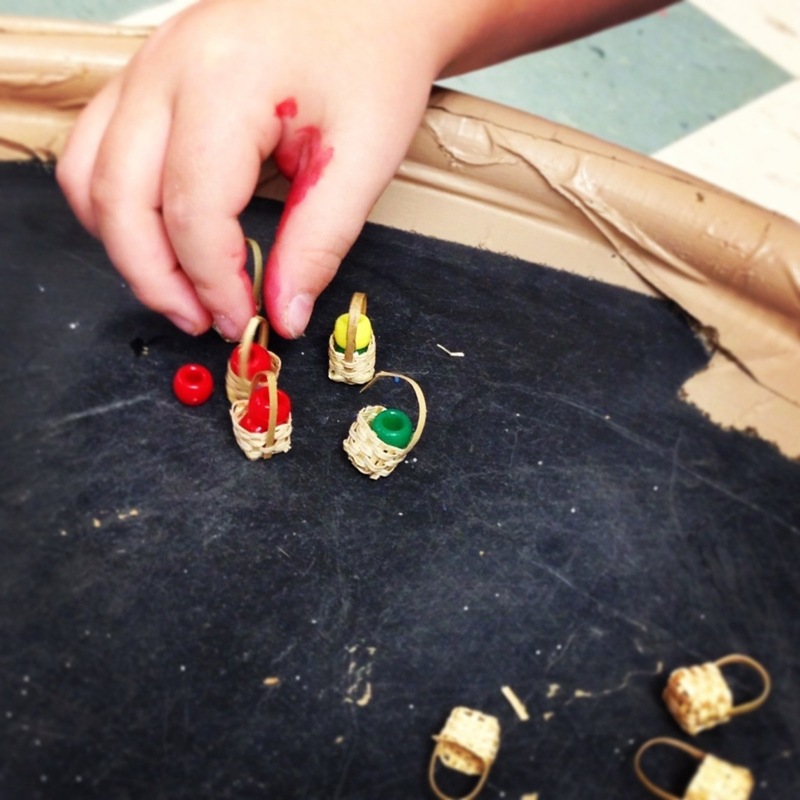 there were the tiny thrifted baskets and bead “apples” for tiny finger work outs. 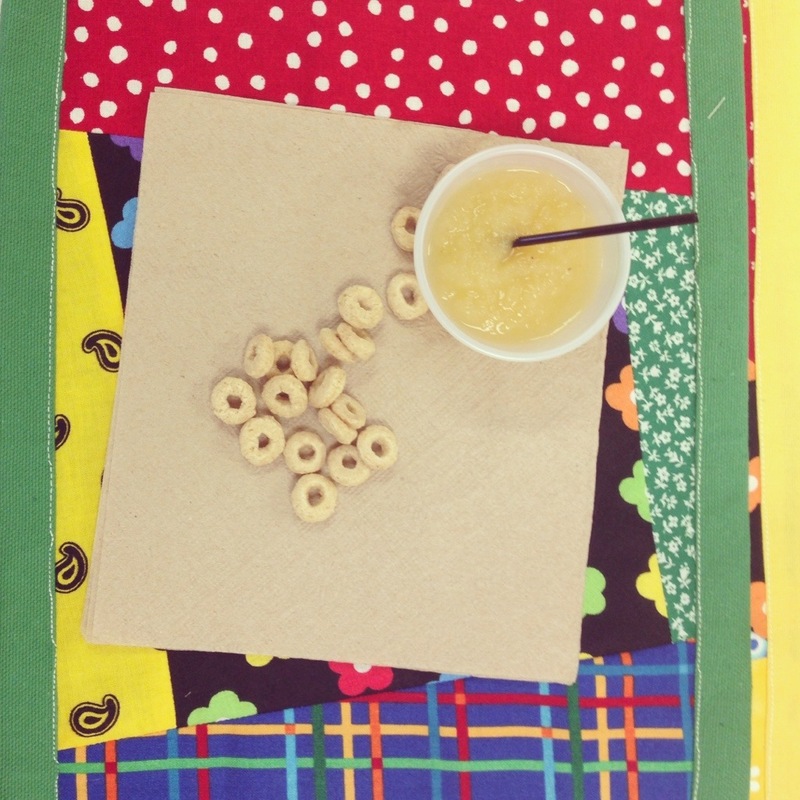 :: :: :: there was applesauce for snack…but no spoons! only two sizes of straws. 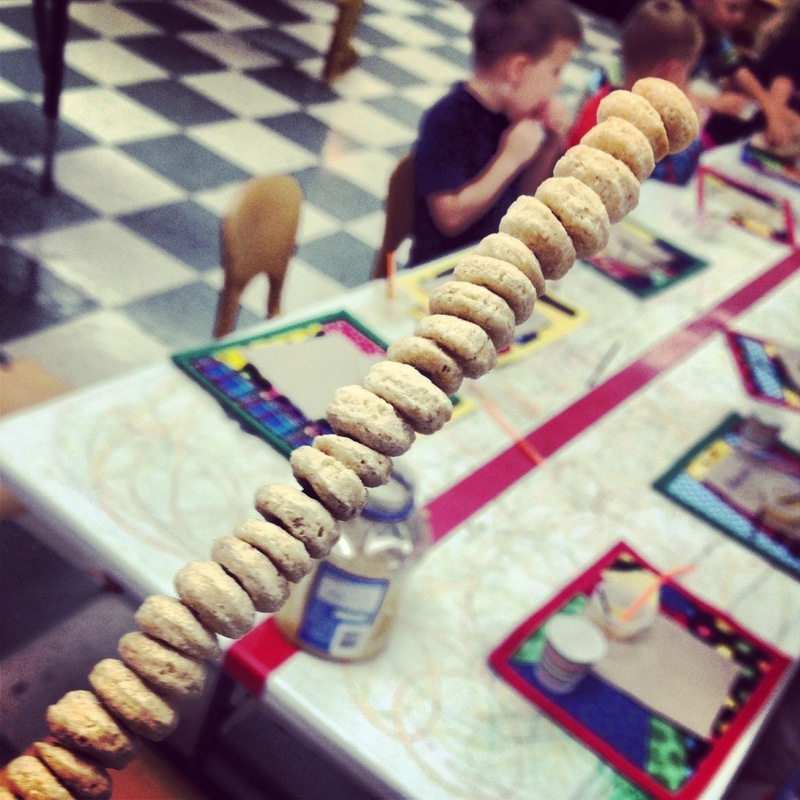 they also worked well for cheerio kabobs. 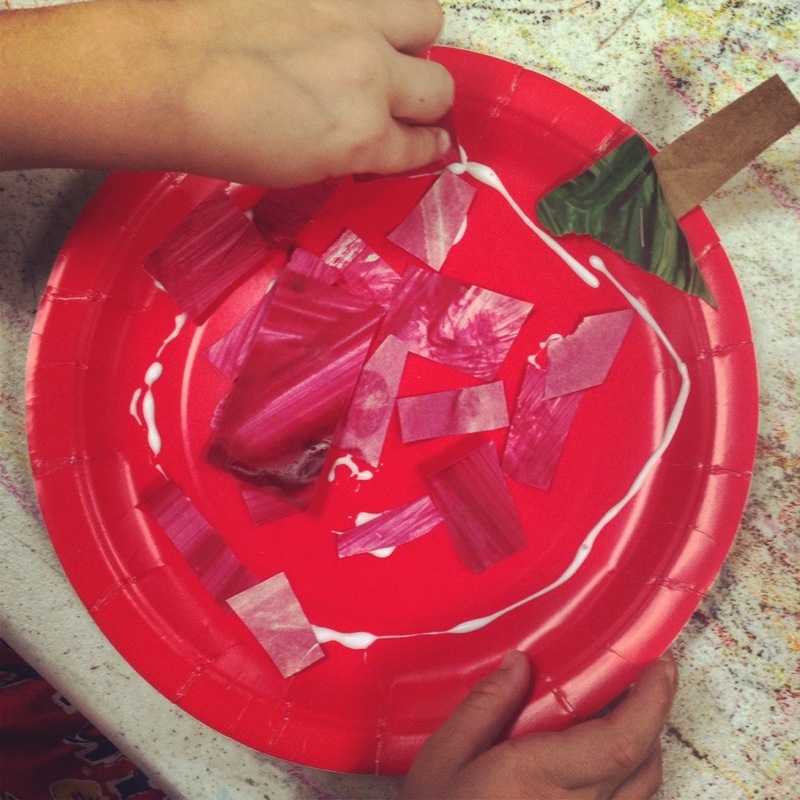 after we painted several table sized pieces of paper and let them dry, we cut them into teeny tiny pieces to add texture to our paper apples. click here for a live video of this project…we look a bit like a factory! 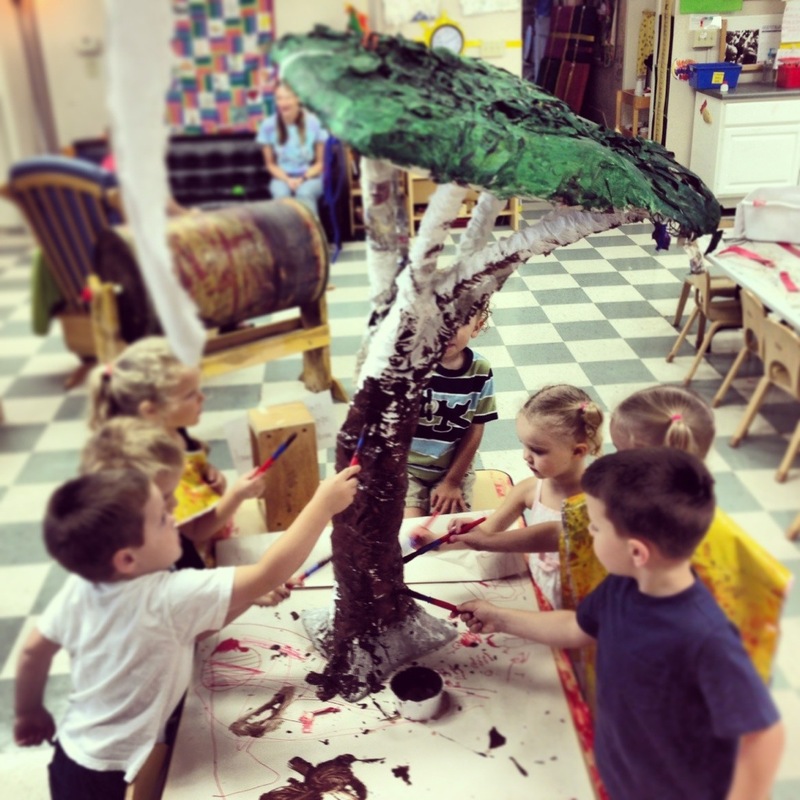 :: :: :: there is a wire framed paper mâché tree we made during sunday school last year. 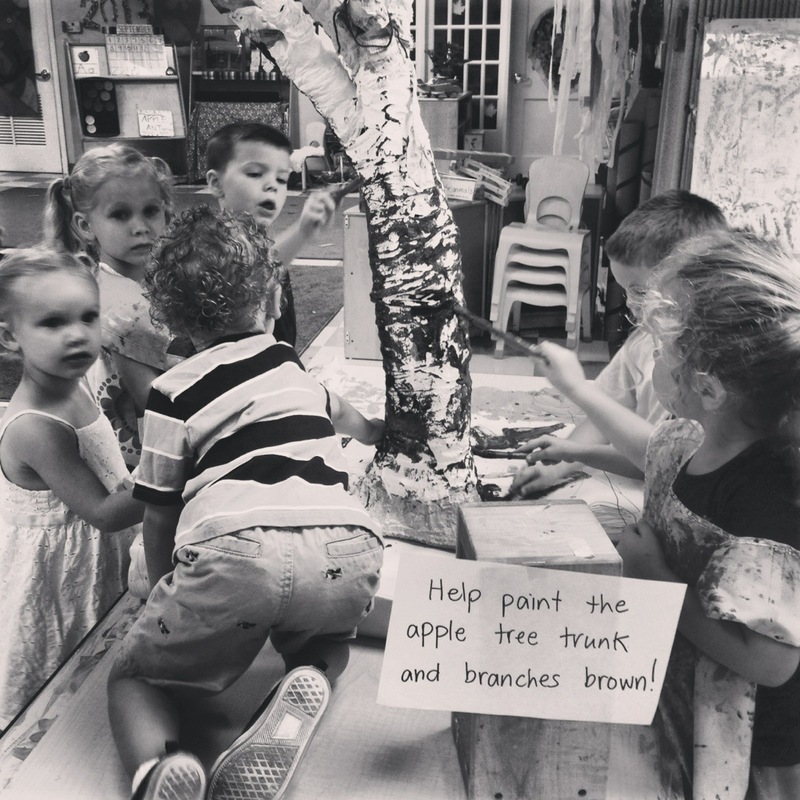 this week it was called apple tree instead of fig tree and we painted the trunk. 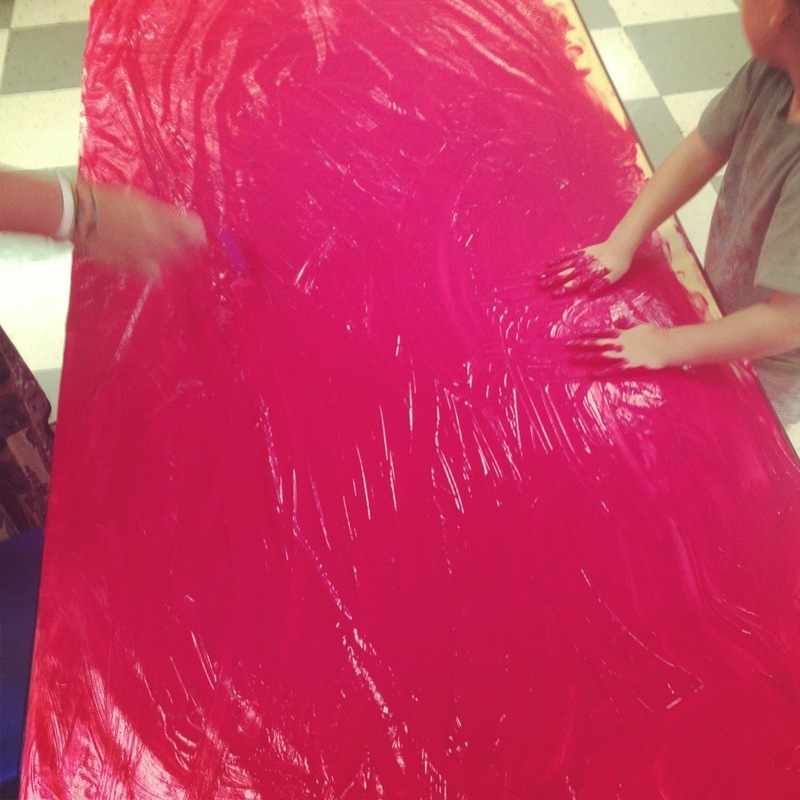 it was a full body full experience week! 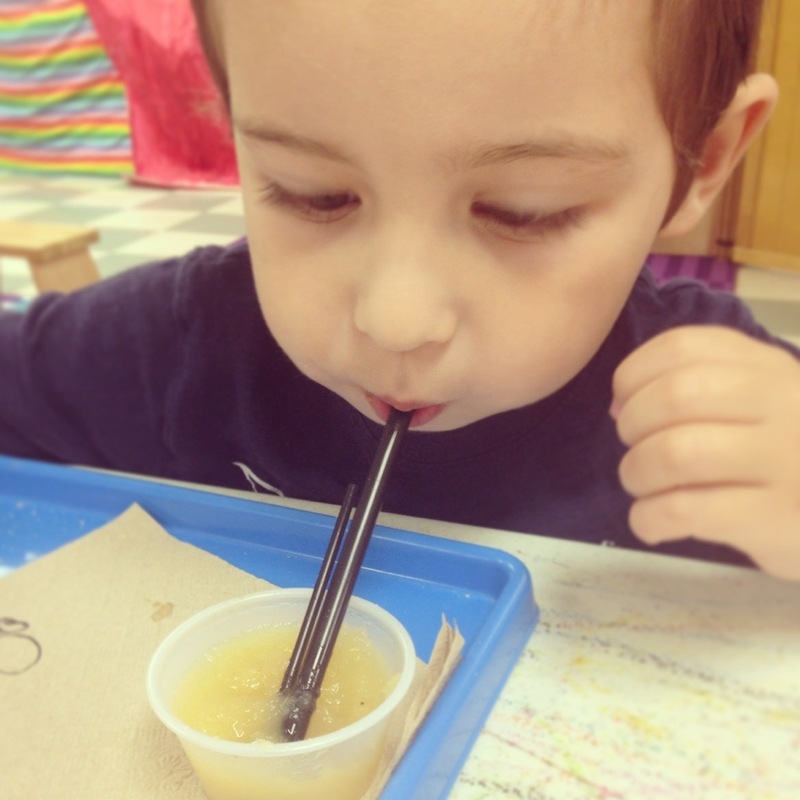 I love what you did with the straws. 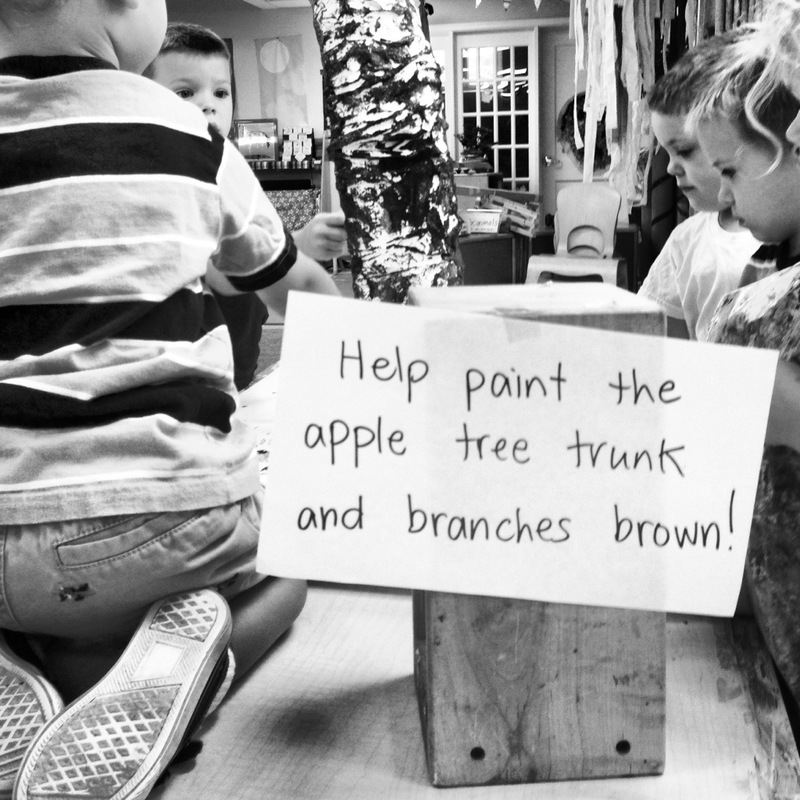 Sometimes adding a novelty such as that to a routine task really freshens the whole process. Very creative!